DNG is looking to expand! We are looking to assemble a team of knowledgeable and passionate lawyers, paralegals, clerks and assistants that will create a positive and supportive work environment in order to best serve our clients. 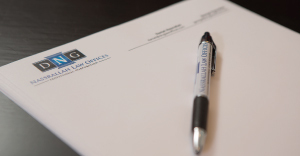 While credentials are important, we desire quality individuals who inherently understand and value the importance of providing dedicated, professional, and exceptional legal representation. If you are interested in joining our firm, please send your applications by email to info@dnglaw.ca. We require a personal statement, a current CV/Resume, and two letters of recommendation from previous employers. Thank you for your interest in joining DNG Law!